So you’ve finally bought flights and are soon headed on that dream trip to Iceland, but you’re probably wondering what to wear. You’re wondering what is the weather going to be like? What should I pack? The weather in Iceland continuously changes, to the point that in the same day you might experience wind, rain, sun, heat and cold. Therefore you need to pack accordingly, with a layered approach to be ready for all the different weather changes. If you’re visiting Iceland in summer, this Iceland summer packing list will be a good starting point to help you figure out what to pack and what to wear. 1 What is the weather like in Iceland in summer? 2 What should you wear in Iceland in summer? What is the weather like in Iceland in summer? First things first, what is the weather like? What kind of weather do you need to be ready for? Temperatures in Iceland are generally mild thanks to the Gulf Current, with cool summers and mild winters. In summer the maximum temperature ranges from 15 °C to 25 °C, and the minimum between 3° C and 6 °C. This is obviously a big difference, and when heading there even if just for a week, you need to be ready for both extremes! The weather is also very variable, with wind, sun, rain and fog changes all in the same day (for the Londoners reading this, it’s nothing new anyway)! There is a popular Icelandic saying that goes “If you don’t like the weather, just wait five minutes”. That gives you a good idea of how variable it can be. If you’re looking for advice about Iceland in winter, check out this article. What should you wear in Iceland in summer? 1 x Hiking / waterproof boots: If you’re planning on walking around a lot and hiking, you will need these. Iceland isn’t exactly a polished and paved country, and even in some of the most touristy areas the paths will get wet and muddy. You will need some proper hiking or waterproof boots to ensure your feet are comfortable and dry. 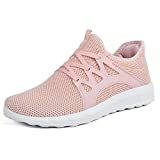 1 x Trainers: Imagine you get back at your hotel in the evening, your hiking boots are wet and muddy after being used all day, the last thing you want to do is put them back when you head out for a casual evening. Having a spare pair of comfortable shoes is always a good idea, especially if the others get too wet to be worn. 1 x Flip flops: These aren’t an essential, but if you’re planning on going to one of the thermal hot springs, it will easier if you have them! 2 x Leggings: I love leggings because they are super comfy, especially if you’re out all day hiking around. Also, they are so tight they can easily fit under another pair of trousers if the weather is really cold or wet. You’ll want to take more than one in case they get wet or dirty. 1 x Waterproof trousers: If it’s going to rain a lot, or you’re planning to visit a lot of Icelandic waterfalls, these will come in handy. 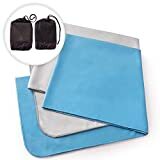 You can wear them over jeans or leggings and will be sure to stay dry under. 1 x Jeans: While jeans may not be as comfortable as leggings for activities during the day, it’s good to always have a spare pair of trousers that you can wear in the evenings. 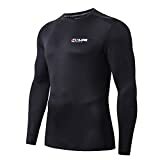 3 x Thermal shirts: Like the thermal shirts you wear under layers of clothing while skiing, they will keep you nice and warm. 4 x Tank tops & 4 x t-shirts: These are always handy, whether you chose to wear them under your thermal shirts or for an evening out, you will want some casual tops too. 1 x Heavy hoodie & 1 x light hoodie: It will most likely be cold, which means you will want a heavy hoodie or jumper of some sort. However you want to also bring a lighter one for when you will be indoors, for example having dinner or around your accommodation. Each day is different so it’s good to have both options, so that you can dress lighter or warmer depending on the weather. 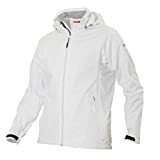 1 x Light waterproof jacket: You will need a waterproof jacket. Even if it doesn’t rain, if you’re planning on getting close to some of the waterfalls like Gullfoss and Dynjandi, the spray from them is enough to get you very wet. I prefer wearing heavy hoodies and light jackets, since if it’s warm but rainy you can take off your hoodie but still have a waterproof jacket. With heavy coats if it gets too warm and you take it off that’s your water protection gone. If you’re looking for an alternative kind of jacket, check out these travel jacket with hidden pockets. 1 x Scarf: You will want something to wrap around your neck and face when the wind picks up and it feels very chilly. 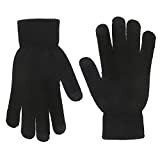 1 x Gloves: These aren’t essential, but they don’t take up a lot of space in a suitcase, so why risk getting cold hands? 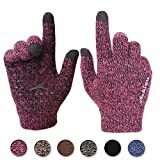 I have a pair that you can still use with touch screen phones, a must if you want to take pictures and wear gloves at the same time! 1 x Hat: Similarly, not an essential but nobody likes cold ears. It doesn’t take up a lot of space and if the weather gets bad, you’ll be glad you have it on you! First aid kit: Better safe than sorry! I have an anxious Italian mother, which means I take an emergency medicine kit everywhere I go. Especially if you plan on doing lots of activities, always better to have plasters, paracetamol etc. Sleeping mask: The midnight sun is beautiful, but it might cause some trouble sleeping. Ear plugs: Always in the sleeping trend, you might not need them but it’s always handy to have ear plugs in case you end up in a hostel dorm with noisy roommates. Bathing suit: I didn’t stop at any thermal pools so I didn’t need this, however Iceland has loads of thermal pools and hot spring everywhere, so you might wan to bring along a bathing suit so you can enjoy them! 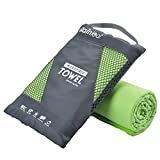 Fast drying towel: Unless you go to the Blue Lagoon or the hot pool of your hotel, chances are you won’t have a towel. Some of the best ones are literally just pools in the middle of nowhere! 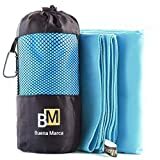 You will want to have one of those light and fast drying towels with you, so that it doesn’t take up much space and it doesn’t get the rest of your stuff wet. Rainleaf Microfiber Towel, 20 X 40 Inches. Green. As mentioned earlier these are based off my own Iceland summer packing list, and that worked well for the weather I found. I was there in August, so this list is a good indication of what to wear in Iceland in the summer months, from early June to end of August. Use this only as indicative guidelines, check the weather forecast before your own trip! If you need further help planning your trip check out this 6-day Iceland itinerary! Have you been to Iceland before? What did you take with you? Let me know in the comments below! Enjoyed reading my Iceland summer packing list? Pin it!